Physicians and other healthcare providers and businesses who seek to stay in the center of the court and avoid fraud allegations often inquire of our Georgia business and healthcare law firm about the applicability of STARK (civil statute) or the Federal Anti-kickback (criminal) statute to particular circumstances or transactions. While those laws have great importance and severe penalties for violations, another federal law often warrants review to ensure business is conducted in a legally compliant manner. 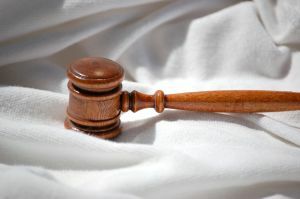 Many physicians and healthcare businesses have not heard of the “Civil Monetary Penalties” law (CMP), found at 42 U.S.C. § 1320a-7a. Under the CMP law, the United States Office of Inspector General (OIG) may impose civil monetary penalties upon persons, organizations or entities who knowingly present (or cause to be presented) to a state or federal government certain types of false claims. Such penalties can be severe, ranging from $2,000 to $50,000. Further, the law gives the OIG the ability to treble damages. c. was not certified as represented. Medial services furnished during a period when the provider was excluded from the program under which the claim was made. A pattern of providing medical services or items that the provider knows are not medically necessary. What if your heart is in the right place? Liability under CMP often depends upon actions taken “knowingly” but can be based upon a “should know” standard in some circumstances. “Should know,” generally speaking, refers to deliberate ignorance. So, specific intent to commit fraud is not required to trigger CMP liability. The importance of the intent element is largely tied to the reality physicians face in the current healthcare world: pressure to produce can inspire cutting corners and upcoding or weak medical necessity standards. What seems “innocent” or unknown can, where CMP is concerned, have painful financial consequences. What is the scope of CMP? OIG’s enforcement power with CMP is very broad. For example, in March, 2015, OIG announced a settlement with Sandoz, Inc. involving payment by Sandoz of over $12 million to settle allegations that it misrepresented drug pricing data to the Medicare program. Since the vast majority of physicians and healthcare businesses seek to lawfully conduct business, and therefore would not have specific intent to commit a form of fraud, the greatest financial risks posed by CMP tend to exist where practices and circumstances become lax and the temptation to cut corners overtakes more cautious business habits. If you are a healthcare provider and have any concerns about any potential fraud or violations of CMP, it is a good idea to review the details with your lawyer. Our Georgia business and healthcare law firm represents physicians, other healthcare providers and businesses and is focused on the healthcare industry. If you have questions about this blog post, contact us at (404) 685-1662 (Atlanta), (706) 722-7886 (Augusta) or info@hamillittle.com.